Snapchat is a wildly popular app for Androids and iDevices that allows you to share photos with your friends. Snapchat replaces more pedestrian ways of sharing photos, such as sending them by email. Snapchat is a new way to share moments with friends. Snap an ugly selfie or a video, add a caption, and send it to a friend (or maybe a few). They’ll receive it, laugh, and then the snap disappears. Clearly, Snapchat’s primary feature, if not its raison d’etre, is “managed risk”. After all, if the screenshot warning ever does come up (assuming the screenshot detector does its job), the one thing you can be sure of is that the image has not disappeared forever, or even at all. US-based computer forensics geek Richard Hickman thought he’d find out. Be prepared to laugh (or cry – it’s not really funny): according to Hickman, “expired” Snapchat photos don’t disappear at all! He grabbed a forensic image of a phone running Snapchat, found a directory called received_image_snaps and looked in it. Both unviewed and expired images were still there. When you send or receive messages using the Snapchat services, we temporarily process and store your images and videos in order to provide our services. Although we attempt to delete image data as soon as possible after the message is received and opened by the recipient (and after a certain period of time if they don’t open the message), we cannot guarantee that the message contents will be deleted in every case. So when you share that “ugly selfie”, where does it end up? It’s stored on your phone, but you’d expect that because you took it, so that’s your lookout. It’s stored on Snapchat’s servers, where it will probably be deleted once it’s been delivered, but not in every case. And it’s stored on the recipients’ phones, from where it apparently won’t be deleted at all, though it will be marked “not for display,” which seems to be synonymous in Snapchat’s argot with “disappears forever”. The obvious first step is to share snapshots only if you don’t mind them hanging around forever. The second step is to stop using Snapchat until these issues get fixed. When user X signs up, generate a public/private key pair on his device and send the public key to the Snapchat servers. When storing an image for delivery to X, encrypt it with X’s public key so it can’t be decrypted unless and until X receives it on his device. That way, images implicitly ‘disappear’ from the Snapchat servers even before they are delivered. Encrypt each image delivered to X’s device with a random key, and keep the key on the Snapchat server until X requests to view the image. That way, the key and the decrypted image only ever need to exist in memory on X’s device, and thus implicitly ‘disappear’ once viewed. When ‘disappearing’ an image, positively erase (i.e. actively overwrite) the random key off the Snapchat servers. Without the key, the encrypted image becomes shredded cabbage. When ‘disappearing’ an image, positively erase the encrypted image file on X’s device, just in case the key survived, for defence in depth. When uninstalling the app, positively erase X’s private key. That way, as-yet unviewed images become shredded cabbage. Whenever X has no unexpired images left to view, positively erase X’s private key and generate a new keypair as though starting a fresh install. Call me a killjoy, but don’t share a selfie, ugly or not, or any other file, for that matter, unless you are willing to risk it being in circulation forever. And if you’re not willing to risk it being in circulation forever, consider not even taking it in the first place. With a “potentially historic” blizzard on the way, millions of Americans are already in emergency preparedness mode. But while stocking up on food and other essentials is a given, loading your smartphone with the right apps can also help make the upcoming storm more manageable. 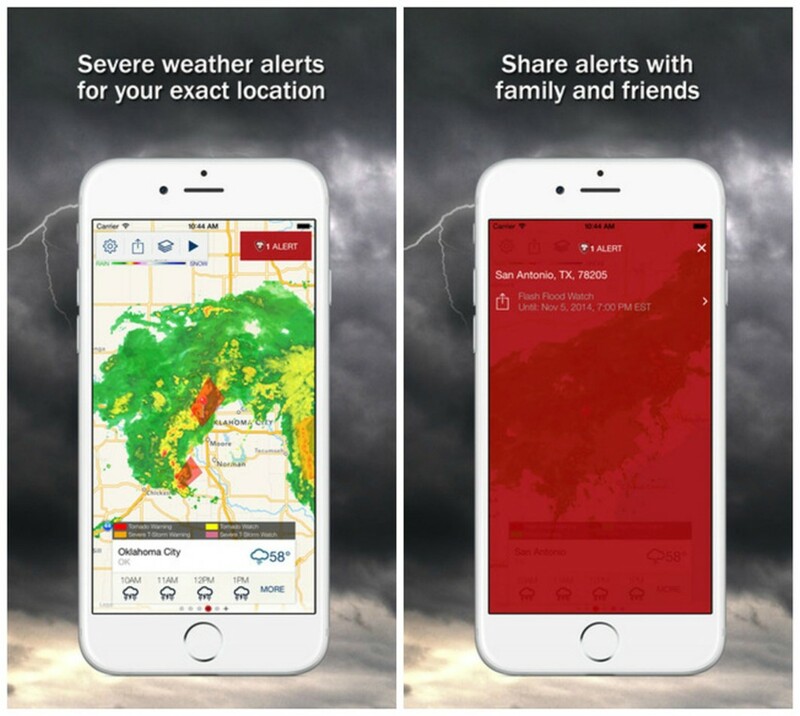 From emergency alerts to real-time weather updates and first aid tips, these apps should help you prepare for any situation and keep you in the loop with the latest news throughout the storm. Also, be sure to check out our guides to conserving your smartphone’s battery so you can squeeze the most life out of your devices should you lose power. 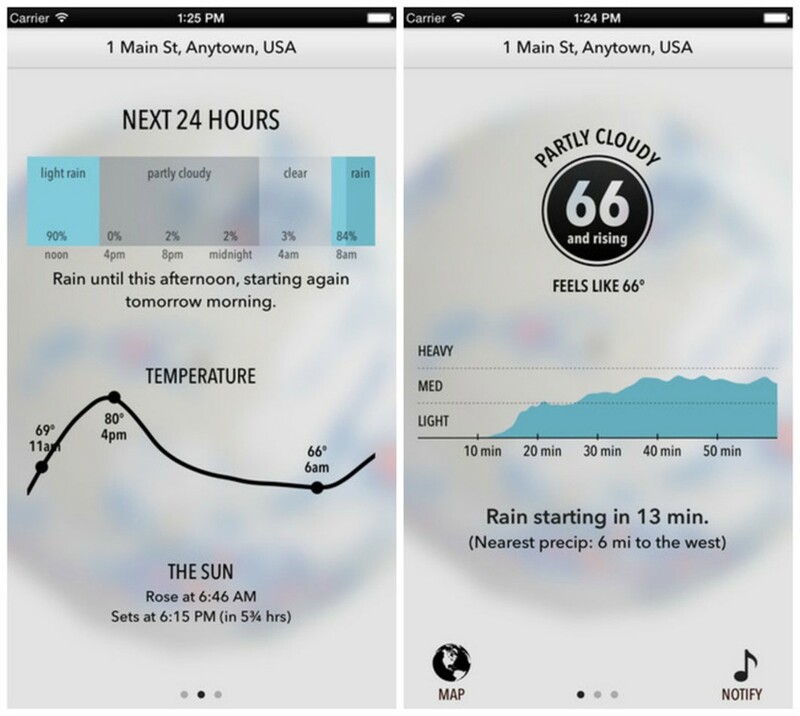 One of the most beautiful weather apps available, Dark Sky is known for its extremely accurate forecasts. The app pinpoints your location and provides up to the minute updates about when rain or snow will hit your neighborhood. The interactive map view allows you to see global temperature and precipitation info so you can track storms around the world. Opt in to alerts, and the app will also send push notifications right before heavy rain or snow begins so you can take cover. Whether you’ve had first aid training before or not, it’s a good idea to have the Red Cross’ guide handy should you need it. 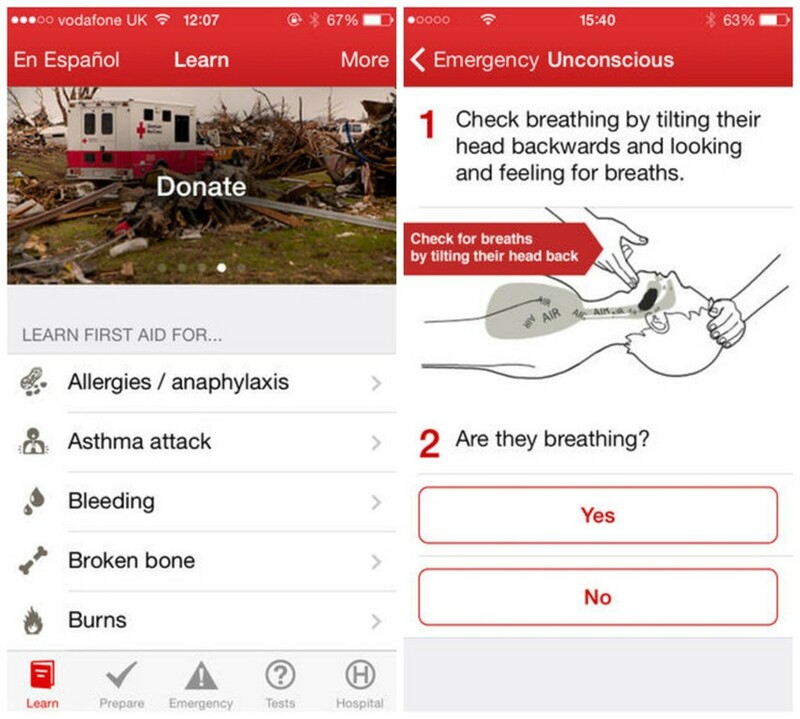 The app provides comprehensive guides on basic first aid procedures, as well as detailed checklists on how to prepare for extreme weather situations like winter storms. First Aid also has a series of quizzes to test your knowledge of how to react in emergencies. And, should a medical emergency arise, the app shows you the closest hospitals and has one-touch access to 911. NOAA Radar Pro provides real-time updates and forecasts based on the latest satellite information from the National Weather Service. 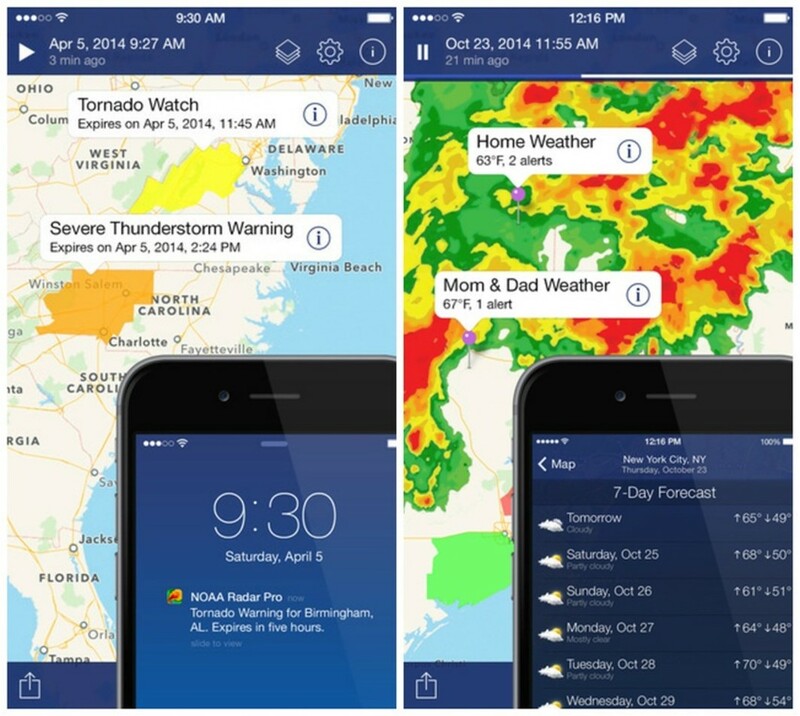 It allows you to keep tabs on severe weather alerts for specific locations by type of event. This means you can set winter weather notifications for friends on the east coast, tornado warnings for relatives in the midwest and hurricane and tropical storm alerts for those in the south, for example. The app also provides forecasts for the coming days and weeks around the U.S., and breaks down other stats such as pressure levels, humidity, and wind speeds. It also comes with a handy iOS 8 widget so you can see the latest updates without launching the app. Think of it as an Uber for snow removal. 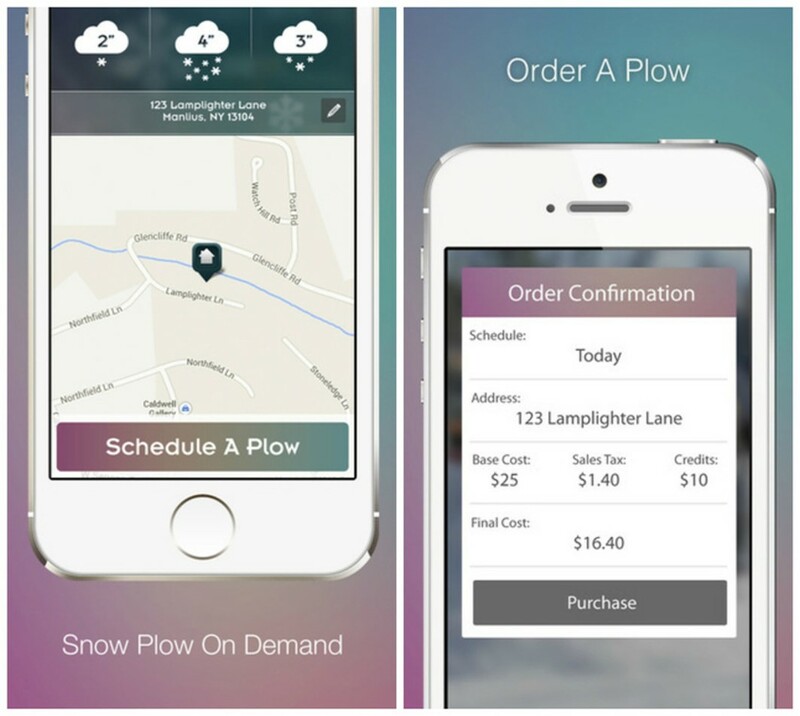 Plowz and Mowz provides on-demand snow plowing (and lawn mowing in the summer) to users in 30 U.S cities, including Boston, Pittsburgh, Syracuse, Rochester and Buffalo. Create an account, get a quote and one of the app’s providers will come plow your driveway (unfortunately, the app doesn’t offer shoveling services so you’ll still have to clear walkways and sidewalks yourself). Once finished, they send you a photo of your cleared driveway so you can check their work even if you’re not home and the app charges your credit card for the work. iOS has a flashlight app baked into its operating system, but Android and Windows Phone users still need to download a separate app to take advantage of their camera’s flash. 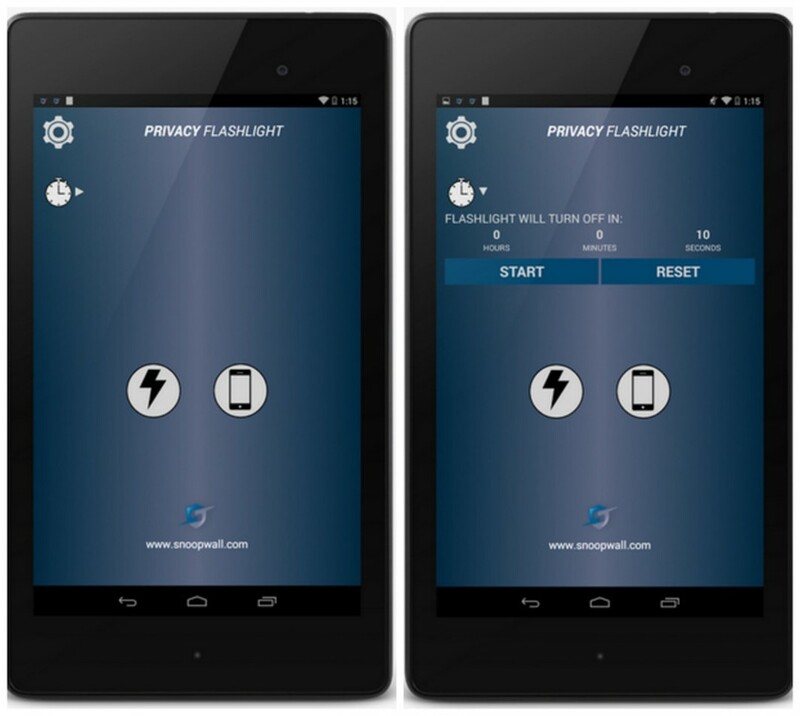 While there are hundreds of flashlight apps in the Play and Windows Phone Store, we like Privacy Flashlight because of its clean ad-free interface and small app size. The main app includes a built-in timer so the app will automatically disable after a set period of time, and also comes with a widget for your home screen for easy one-touch access. Storm Shield relies on the latest info from the National Oceanic and Atmospheric Administration for real time alerts about storms in your area. It also has an in-app weather radio from the National Weather service and gives updates on school closures in some areas. The app also allows you to share alerts with friends and family and keep tabs on different areas of the country. Critical DNS hijacking flaw affects D-Link DSL router, the flaw affects the ZynOS firmware that is used also by other vendors, including TP-Link and ZTE. A security vulnerability affects DSL router model from D-Link, the flaw could be exploited by a remote attacker to change device DNS settings and hijack users’ traffic. The Bulgarian security expert Todor Donev, member of the Ethical Hacker research team, explained that vulnerability is found in the ZynOS firmware, which is present in many other devices from other vendors, including D-Link, TP-Link, ZTE. At least one D-Link router is affected by the flaw, the D-Link’s DSL-2740R ADSL modem/wireless router, but every manufacturer using the same firmware is potentially exposed to remote hacking. Todor Donev published a proof-of-concept exploit for the D-Link DSL-2740R model, which has been already phased out, but might still receive support if covered by warranty. By exploiting the flaw, the attacker can access the D-Link device’s Web administration interface without authentication. The attacker can then modify the DNS settings to redirect users to phishing websites or domain used to serve malware. Even if the Web administration, it’s not exposed on the Internet, the attacker can access the router’s interface from within the local area network with a cross-site request forgery (CSRF) technique. “If the administration interface is exposed to the Internet — routers are sometimes configured in this way for remote administration — the risk of exploitation is higher. But even if it’s only accessible from within the local area network, hackers can still use cross-site request forgery (CSRF) techniques to reach a router’s interface. CSRF attacks hijack users’ browsers to perform unauthorized actions when they visit compromised sites or click on malicious links. Rogue code loaded from a website can instruct a browser to send specially crafted HTTP requests to LAN IP addresses that are usually associated with routers. Large scale CSRF attacks against router owners that were designed to replace DNS servers configured on their devices with servers controlled by attackers were observed on the Internet in the past.” reported ComputerWord. Donev hasn’t notified D-Link of the vulnerability, but the availability of the exploit in the wild urges all vendors that adopt the flawed firmware to check if their products suffering the same security issue. A new Chrome extension highlights tools embedded in websites that could pose privacy risks by sending data unencrypted over the Internet. It’s hard to find a major website that doesn’t use a variety of third-party tracking tools for online advertising, social media and analytics. But if the trackers send data unencrypted, it is possible for those who have network-level access — such as an ISP or government — to spy on the data and use it for their own tracking. It’s partly the fault of websites that have not yet enabled HTTPS, which encrypts data sent between a computer and server, as well as companies that have not enabled it in their tracking tools. Documents leaked by former U.S. National Security Agency contractor Edward Snowden showed the spy agency was using cookies in order to target users, according to a December 2013 report in the Washington Post. Cookies are small data files created by online trackers that are stored within a person’s Web browser, recording information such as a person’s browsing history. The Chrome extension, called TrackerSSL, alerts users when a website is using insecure trackers and gives them an option of tweeting a message to the website letting it know of the issue. TrackerSSL was created by Open Effect, a digital privacy watchdog, and Citizen Lab, a technology-focused think tank at the University of Toronto. “As demand for secure technology grows, most websites will not be able to protect their readers unless they stop using insecure ad trackers,” wrote Andrew Hilts, executive director of Open Effect and a research fellow with Citizen Lab. TrackerSSL shows a list of trackers embedded into a website. Websites that don’t use HTTPS show more warnings, as some trackers would be more secure if it was used. Other trackers simply don’t ever encrypt data transmissions, which puts users at risk that data could be intercepted and misused. Security experts are warning of yet another potentially major vulnerability in Linux systems, which could allow hackers to take remote control of a system. The flaw – assigned CVE-2015-0235 – was dubbed ‘GHOST’ by the Qualys researchers who discovered it during a code audit, as it relates to a buffer overflow affecting the gethostbyname functions in the GNU C Library (glibc). It’s exploitable remotely and locally, allowing for arbitrary code execution and therefore unauthorized access. Qualys said it developed a “full fledged remote exploit” against the Exim mail server as proof of concept, in which a specially crafted email was able to bypass all existing protections and give the firm full control over a Linux machine. The vendor said it will publish its exploit as a Metasploit module in the near future. Qualys CTO Wolfgang Kandek claimed in a blog post that the firm “has worked closely with Linux distribution vendors and patches are available” as of Tuesday. IT managers are therefore urged to contact their Linux vendors to see if a patch is available. Reports suggest this is already the case for Red Hat, Debian, Novell and Ubuntu, at the time of writing. David Stubley, CEO of Edinburgh-based information security consultancy, 7 Elements, argued that as it’s still early days it’s difficult to anticipate the true scale and impact on systems. “While the difficulty to exploit will reduce the potential impact of this vulnerability, the widespread adoption of glibc within disparate technology will make this a troublesome issue to fully remediate and it is likely to rumble on for some time,” he told Infosecurity. Ironically, the flaw itself was fixed back in 2013. However, it wasn’t recognized as a security threat at the time and so most stable and long-term support distributions were left un-patched. HD Moore, chief research officer at Rapid7, argued that the flaw is not another Heartbleed. “In a general sense, it’s not likely to be an easy bug to exploit. One easily-exploitable case identified so far is the Exim mail server. An attacker could abuse this vulnerability to execute arbitrary commands on an unpatched server,” he added. As reported on TechCrunch and elsewhere, Yahoo’s Chinese email service is no more. Warned all the way back in April, current users of the Chinese version of Yahoo! Mail were given the opportunity to transition their accounts to Alibaba’s email service, Alimail. As of January 1st, any attempt to mail a user at the yahoo.com.cn or yahoo.cn domains is rejected with a “550 relaying denied” error message. If you run an email service that maintains a filter of dead ISPs or dead domains, I recommend adding yahoo.com.cn and yahoo.cn to your “dead domains” list or similar. There’s no point allowing mail to be sent to those domains, as no mail will be successfully delivered. A handful of new systems are promising more than 15 hours’ battery life on a single charge, or 20 hours with an optional second battery installed. The days of plugging in on the road are almost over, at least for short business trips. The Toughbook beats out two other recently introduced laptops for battery life—though it’s also a lot heavier. Dell claims 15 hours for its XPS 13, or 22 hours with a second battery. And the two batteries in Lenovo’s ThinkPad X250 can power it along for up to 20 hours. The latter two were both were announced at this month’s CES. The Toughbook might be difficult to lug around for hours on end, but as the name implies it’s designed for harsh environments. With a 13.1-inch touchscreen, it weighs 3.58 kilograms with one battery and 3.7 kilograms with two. For all these estimates, battery life will depend partly on the applications you’re running. Watching movies and playing video games generally draws more juice than surfing the web or using a word processor. The display draws the most power, and the brighter the screen the less battery life you’ll have. The above laptops also use Intel’s latest Core processors based on the Broadwell microarchitecture, which is more power-efficient than its predecessors. Intel says Broadwell alone can extend battery life by an hour when watching HD movies or browsing the Web. Panasonic’s claim of 18 hours is for a power-saving mode, with the wireless off and screen brightness reduced. That’s probably not a typical use case for most people. And while Dell claims up to 15 hours for the XPS 13, Intel’s measured only 11 hours for the same laptop. Dell hasn’t provided benchmarks to prove its claims, but says it’s confident in its dense battery and unique chemical formula. Battery technology itself hasn’t improved much lately, but laptops are getting smarter, more sophisticated circuitry to help them run longer, said Nathan Brookwood, principal analyst at Insight 64. Intel used to focus more on horsepower than energy efficiency, but that’s switched in recent years, he noted. Displays are also advancing, with laptop makers using tricks to improve perceived quality of images by modulating the backlight. The Broadwell chips are manufactured on Intel’s latest 14-nanometer process, which means smaller transistors. A Broadwell chip is 37 percent smaller than a comparable chip based on the Haswell microarchitecture. But for now, 15 hours is the exception rather than the rule. It’s pretty impressive when you compare it to just a few years ago, and for now it’s probably enough. “That’s unless you want to walk around with a 10-pound battery, which no one really wants to do,” Brookwood said. Mobile is the most dominant form of banking in the world and is enabling competitors to eat into banks’ business without being noticed, according to a massive study of 80,000 people. After raising a ruckus with the disclosure of three unpatched Windows vulnerabilities, Google’s Project Zero research team did the same this week with a trio of security issues in Apple OS X. Project Zero imposes a 90-day deadline on vulnerabilities it reports to affected vendors; if a patch is not delivered inside that time frame, details are automatically made public via its external database. The respective OS X bugs were reported to Apple in late October and 90-day deadlines began expiring this week. The Project Zero disclosures also come with proof-of-concept exploit code. The vulnerabilities affect different components of Apple’s flagship operating system, and range from memory corruption, kernel code execution and a sandbox escape. All three require some kind of local access to exploit. The sandbox escape vulnerability, OS X networkd “effective_audit_token” XPC type confusion sandbox escape as labeled by Google, may have been mitigated starting in the Yosemite version of OS X. Google refers to a separate advisory for those details. In its disclosure on Tuesday, Google said that the networkd system daemon implements an XPC service API which communicates on behalf of an application. Project Zero said that XPC messages using get parameters are used without checking the type of returned value. This allows messages to reach functions outside the sandbox, Google said. One day later, the 90-day deadline expired on an OS X IOKit kernel execution vulnerability. “Calling IOConnectMapMemory on userclient type 2 of “IntelAccelerator” with memory type 3 hits an exploitable kernel NULL pointer dereference calling a virtual function on an object at 0x0,” Google said in its advisory. Part of this disclosure originally included a kernel ASLR bypassed, but that was patched in Yosemite 10.10, Google said. The third disclosure happened yesterday and is another OS X IOKit kernel memory corruption vulnerability. Google said a Bluetooth device must be connected to exploit this bug, which is due to a bad bzero in IOBluetoothDevice. “Userspace can modify the size in shared memory leading to the bzero writing a controlled number of NULL bytes off the end of the buffer,” the advisory said. Project Zero’s automated disclosures are the latest salvo in the industry’s eternal debate over the sharing and distribution of vulnerability details. Microsoft fought back after Google spilled the beans on a trio of its unpatched bugs, one of which Google refused to sit on for an additional two days before Microsoft was to release a patch.